At the invitation of President Sauli Niinistö, I am delighted to pay a state visit to Finland in this beautiful spring season of budding plants and blooming flowers. I have been to Finland twice before. Your scenic and unspoiled lakes and forests, your development philosophy that values diligence and innovation, and your kind and honest people all left me fond memories. 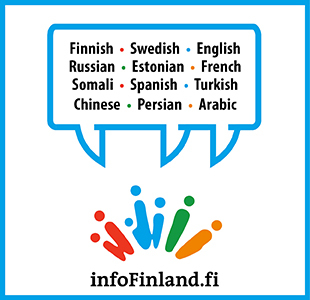 Finland lies at the crossroads of Eastern and Western civilizations. Throughout the centuries, the Finns, with their “sisu” spirit, have forged ahead despite many vicissitudes and made remarkable achievements in national independence and prosperity. This country is home to the great composer Jean Sibelius and the well-regarded Linux operating system. It also has one of the highest rankings on the World Happiness Index and the Corruption Perceptions Index. As this year marks the centenary of Finland’s independence, it is indeed a pleasure for me to share the joy of the Finnish people on this occasion. Due to similar experiences in our modern history, the Finnish sense of national pride has strong resonance among the Chinese people. China and Finland have a close bond. Finland is one of the first Western countries to establish diplomatic ties with the People’s Republic of China and the first Western country to sign an inter-governmental trade agreement with China. In 1952, Finland invited China to participate in the 15th Summer Olympic Games in Helsinki, marking the first time that the national flag of the People’s Republic was raised at the Games. In the early 1970s, Finland is one of the few Western countries that actively supported the restoration of China’s lawful seat at the United Nations. Following the devastating earthquake in Wenchuan, Sichuan Province in 2008, the Finnish Red Cross donated nearly 20 tons of emergency supplies and Finnair provided free shipping for tents donated by various countries. Many Finnish companies have had great success in China, pointing to the win-win nature of our economic, scientific and technological cooperation. For decades, China has maintained close cooperation with Finland on international affairs, and has supported Finland in playing a bigger role in the world and contributing more to global peace and development. Thanks to the reservoir of goodwill, the China-Finland relationship has been able to grow on a solid foundation. Passing the test of time and international changes, it sets an example for peaceful co-existence and friendly exchanges between two countries that are different in size, culture and development level. At present, China and Finland are working to build a future-oriented new-type cooperative partnership. This provides tremendous opportunities for expanding our relationship. China has all along approached our ties from a strategic and long-term perspective and pursued common development on the basis of win-win cooperation, equality and mutual respect. With highly complementary economies, China-Finland cooperation has delivered clear benefits to both sides. China has remained Finland’s largest trading partner in Asia for the past 14 years. Two-way investment is growing rapidly. China’s 13th Five-Year Plan dovetails with Vision: Finland 2025, promising exciting cooperation in such areas as innovation, entrepreneurship, clean energy, bio-economy and arctic research, to name just a few. Last but not least, Finland is welcome to take an active part in China’s land and maritime Silk Road initiative. Our two countries also enjoy vibrant people-to-people ties. There is a steady rise in the number of Chinese visiting Finland for the Northern Lights and Santa Claus. The annual “Happy Spring Festival” fair, held in Finland for the past 11 years, has become a popular winter event anticipated by many Finns. The Helsinki Art Festival with China as the guest of honor and “Moi, Helsinki” cultural event in Beijing have been well received among the local communities. With Finland doing so well in winter sports and China hosting the Winter Olympics in 2022, there is much we can do together in this area. This visit will be my first to the Nordic region as President of China. Nordic countries have advanced economies and strong innovation capacity. China and Nordic countries enjoy good relations and share a sincere desire for cooperation. Our exchanges and cooperation in various fields are blossoming. Sub-regional cooperation is a useful complement to China-Europe relations. I am sure that the close ties between China and Nordic countries will be a contributing factor to European prosperity and China-Europe relations. At the moment, Europe is undergoing profound and complex changes. China is of the view that European integration is consistent with the trend of history, and a prosperous and stable Europe is conducive to world peace and development. We believe that Europe has the wisdom and capability to overcome the challenges. In this process, Europe can count on China’s support. China and the EU have important roles to play in the world. The China-EU comprehensive strategic partnership is deepening and maturing, and the partnerships for peace, growth, reform and civilization are advancing in all respects. We are making good progress in the building of the five agreed platforms, including the China-EU mutual investment fund and the China-EU connectivity platform. Both China and European countries are pursuing structural reform for greater economic and social development. It is of vital importance for the common growth of China and Europe that we synergize our development strategies and expand our common interests. Indeed, we have a shared responsibility to uphold openness and inclusiveness and make new contributions to global peace and prosperity. A new chapter of history is being written by people of the world. The Chinese people wish to join hands with the Finnish people and others to create a better future for mankind!